Combines function and superior fashion for ventilation needs with a concealed exhaust flap. Multiple locking positions: .75", 1.00", 1.25". 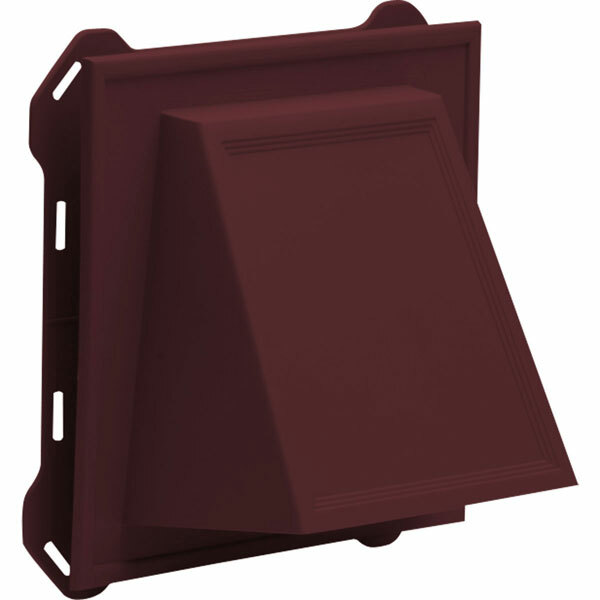 6” Hooded Vent: 25 sq. in. net free ventilation area; 10” x 9-1/10” (exterior surface, edge-to-edge). Wire screen and 8” long aluminum tube included.